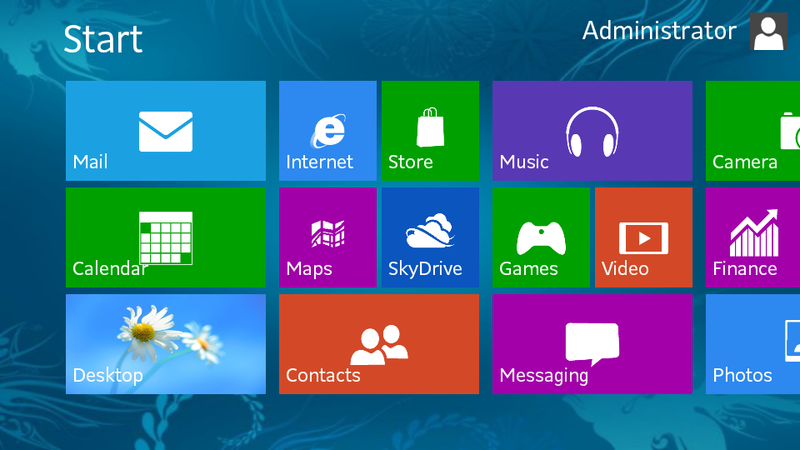 Home / Technology / So I’m on Windows 8, Now What? So I’m on Windows 8, Now What? And because all of us users of Microsoft products are subliminally programmed to anticipate the next upgrade, naturally I was somewhat expectant when I finally made the decision to become acquainted with Windows 8. And while there are those who make a career of shunning Microsoft products, I’m afraid that I am what one can call a Windows-phile – if there is ever such a word. I did flirt for a while with Ubuntu – an open source OS – thought it tried to place most things opposite to where Microsoft did, and subsequently decided that to continue using the OS was ultimately counterproductive. So, but for this brief fling, I have really been with Windows for most of my computing life, having started with Windows version 3.1 on the first personal computer that I bought, a trusty old pre-Pentium x486, what a dinosaur! Windows 95 was supposed to be a reasonably ‘radical’ departure from Windows 3.1; but in fact those accustomed to the earlier version didn’t have to try an awful lot just to be able to migrate effortlessly. It’s still early days to say if I am happy with Windows 8 or not. In a way, it’s something of an Easter egg hunt trying to discover where the developers hid familiar features. It can be both challenging and annoying. Subsequent versions of Windows more or less built on the 95 model; which meant that there was the desktop, the Start button and the taskbar. Whatever features were added in subsequent releases were really minor tweaks here and there that didn’t really deviate too much from the previous models. The only real Windows version that I did not get to use was XP. I was on Windows 2000 in the office and didn’t think that I really needed to upgrade. When I upgraded my PC at home, it came bundled with Windows Vista. XP, from what I can recall, used to have a reputation for being virus-prone; and Vista as I understood it built on the XP backbone but made it more secure. There was a little problem with Vista, however. It was invasive as an operating system – especially the Business Edition, which came bundled with my PC when I went into top management. In trying to protect the user, Vista bordered on the paranoid and asked too many questions. Too many, in fact, that I used to think that the OS thought of every user as an idiot. I bought a copy of Windows 7 for my home PC almost as soon as it got out, just to be able to rid myself once and for all of Vista’s incessant interrogation. While I have had my own issues with Windows 7 – frequent crashes when playing movies, for one – I have enjoyed using this so much more than I ever did Vista. No desktop. No Start button. No taskbar. It didn’t look like any Windows version that I had worked with before; although, in fairness, I read somewhere that Windows 8 was created with touch screens in mind. These tiles are, in fact, shortcuts to applications which can be accessed by one click or tap in touch screen parlance. The Start screen, in typical Microsoft fashion, is customisable. My only problem with this is that not all of the tiles are ‘live’ and some when you click them will tempt you to try or even buy the apps that the tiles represent in typical Microsoft commercialism. Having finally seen one tile with the label ‘Desktop,’ well then I finally understood why this and the taskbar were not visible on the Start screen. The latter sits over those two homey and familiar Windows features. And once you get to the desktop – well – it begins to feel like the Windows that you have been used to all these years. As a matter of fact, once on the desktop, it feels a lot like Windows 7 – but sans the Start button of course. There is another concept that Microsoft introduces in Windows 8 – the ‘Charms.’ Why this feature is called the way it is, your guess is as good as mine. At any rate, this is a bar that slips in and out of the screen that offers a quick way to access options for customising features or perform actions. All you need to do to bring out Charms is to take the cursor to the upper or lower right hand corner of the screen whether you are on the desktop, on the Start screen or any open application. I am still trying to discover more about Windows 8 and one of the features that I hope to find is the recently used documents feature that was ever-present in previous versions of the OS. Strange as it may sound, but it took me all of two days to discover how to shut down Windows 8 using touch or a mouse. The trusty Alt+F4 works, of course; as do other familiar Windows shortcuts. As it happens, the Shut Down feature – along with Sleep and Restart – are in the Charms sidebar as part of the Power options. Security-wise, Windows 8 is fussier than Windows 7; but not as paranoid as Vista. It feels strange to be interrogated again after the relative liberality of Windows 7. One seeming benefit seems to be the better handling of movies. I can have Windows Media Player or VLC on, pause for a while and peek at my Facebook account, then get back to my movie without compromising performance. My Windows 7 would have crashed; although if I’m being honest, the stability that I now enjoy can be down to the 4GB memory that I now have compared to the 2GB that worked with my Windows 7.